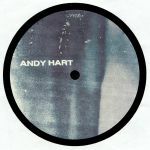 Andy Hart - "Dreams On Kepler"
Review: Melbourne's Andy Hart is known for heading up the Voyage imprint, which over the last few years has pursued the many shades of deep house with releases by the likes of Harvey Sutherland, Urulu and Youandewan. Here he inaugurates his new Voyager sublabel, which sees a noticeable change of tune. On "Neutron Capture" he delivers a slow burning deep space transmission aboard the acid express, while the functional B side cut "Lftrr" is a dubby and hypnotic techno jam suited to heads-down moments in dank warehouse spaces. If this is a sign of things to come for Hart's new outlet, expect a string of club ready and dancefloor orientated cuts. Paskal & Urban Absolutes - "Dynamo"
Andy Hart - "Tokyo Lights"
Ben Sun - "Lips To Hips"